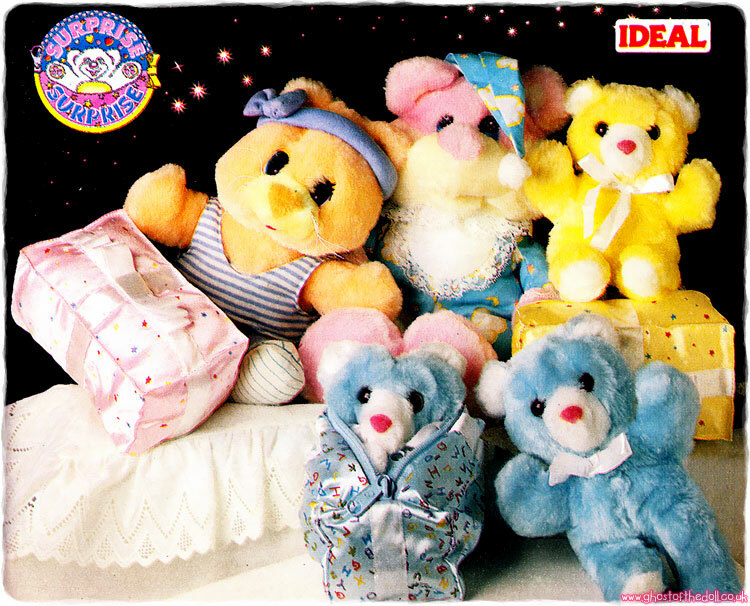 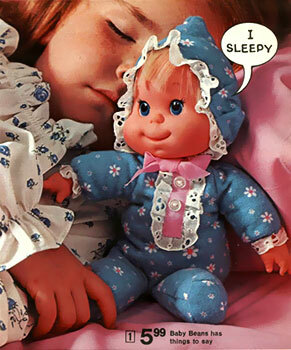 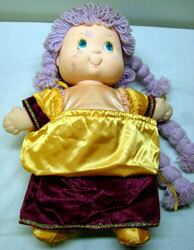 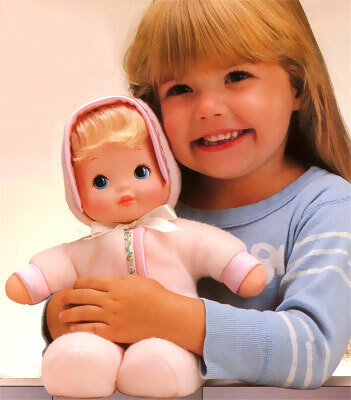 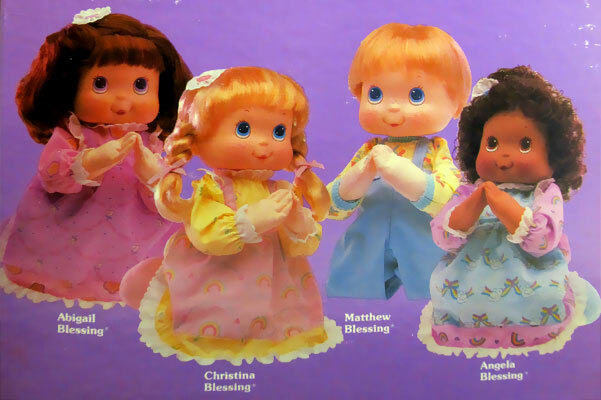 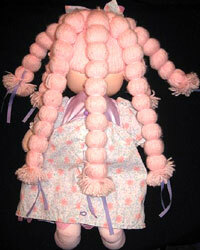 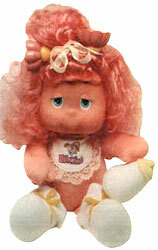 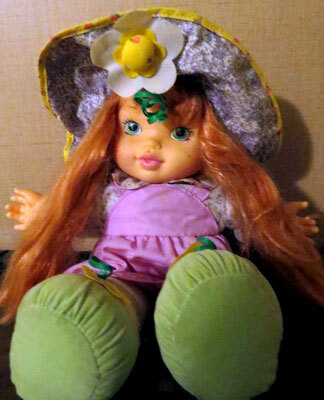 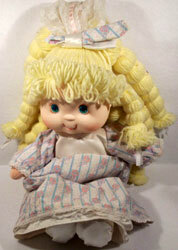 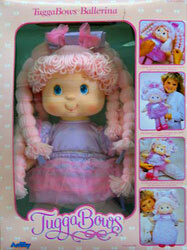 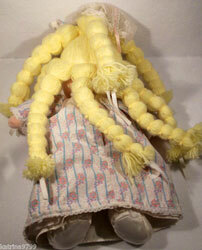 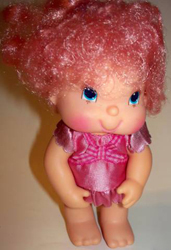 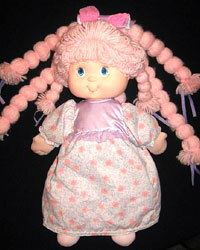 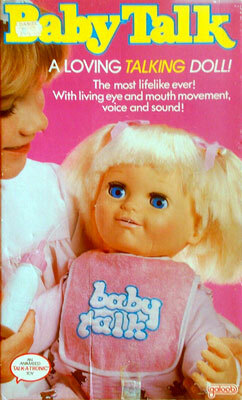 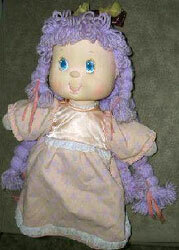 TuggaBows doll was produced by AmToys in 1986 and was known for her "two looks in one". 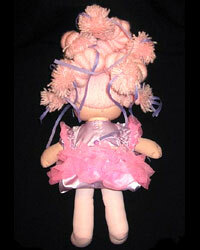 Pull the ribbons in her hair and it transformed into a different style. 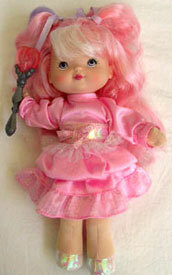 The sleeves and hem of her dress could be flipped up to completely change her dress. 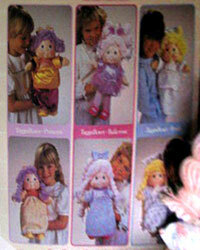 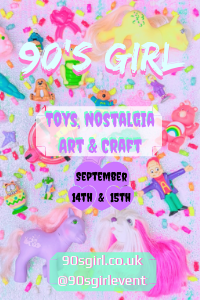 Images on this page thanks to eBay sellers shop*happy*girls , The Patchwork Attic , dori5890 , Katrina's Toys and Going once-going twice-it's yours ! 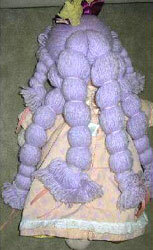 View all TuggaBows on eBay.com or eBay.co.uk ! 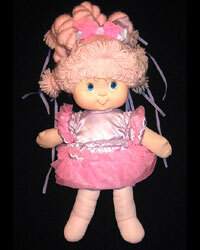 TuggaBows was about 19 inched high with a soft body and plastic head. 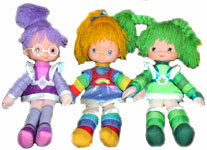 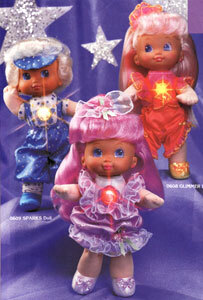 There were three versions available, one with pink hair, one with blond hair and one with purple hair.